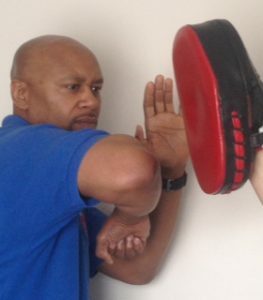 Focus pad workouts and drills have always existed and used by Boxers and Martial Artists. In an attempt to enhance their hand speed. Increase stamina, sharpen reflexes, timing and focus. This method of training is now being recognized by people who want to “Walk the walk but not necessary talk the talk”. Focus pad workouts and fitness drills have changed over the years. And with it so has our diets and eating habits. This is to complement and enhance our training. This is where adding focus pad workouts can make a difference! The only thing that hasn’t changed is our desire to loose/manage our weight. Also to look and feel good at the end of all the hard work! This can prove to be quite difficult for the average person. And so the search goes on! We have put together a number of focus pad workouts and circuit routines. Implementing Kickboxing and Boxing drills based on interval training ideas. Designed to take you to a whole new level. Helping you in your constant fight to manage your weight, appearance and fitness. 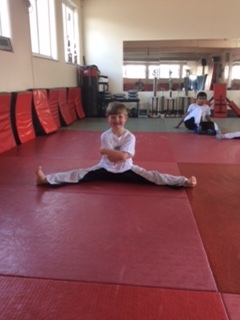 The classes and routines can be quite demanding. Sometimes they’ll feel impossible but as the saying goes. “You only get out, what you put in”. So if your goal is to improve your cardio, it’s for you! If your goal is to improve your muscle tone and shape, it’s for you! If it’s just purely just to improve or challenge yourself, hey it’s good for you too! Focus pad workouts, drills and circuits have a lot to offer. Even if you’ve never punched or kicked a pad before. You will find that not only will your speed increase. But your timing and focus will too. You will be tested physically and mentally from the very first work out! All are welcome to this no strings attached workout! But you must have the desire to work hard! So if you’re looking for a fun work out. That ticks all the boxes in achieving your fitness goals then waste no more time. Arrange for your first session today! 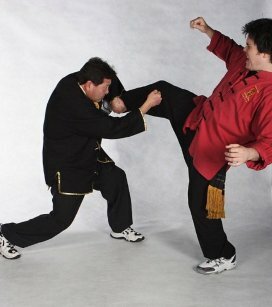 Sifu Derek delivers elbow strike. ← Make Your Kung Fu Priceless.